If you have unusual spots in your mouth, your mind may immediately jump to oral cancer. Leukoplakia is a disease caused by surplus cell growth, resulting in the appearance of patches or lesions in the oral cavity, usually on the gums and cheeks. Although their appearance can vary, the sores are typically white or gray with thick, elevated edges and a hard surface. These lesions are common among smokers or people who use smokeless tobacco, but they can also be a sign of badly fitted dentures or habitually chewing on the cheek insides. Although the patches are regarded as benign and not dangerous, certain instances of leukoplakia indicate initial signs of oral cancer forming next to the growths. If you suddenly discover these growths in your mouth, you should contact your dentist immediately for evaluation and treatment. Other signs include gray patches that refuse to come off with scraping, irregular or flat-textured areas and the formation of red, elevated lesions (known as erythroplakia), which are usually signs of precancerous changes in the oral cavity. If you think the signs are related to leukoplakia, pay your dentist or physician a visit. They may eventually refer you to an oral surgeon for diagnosis and treatment. Before going for the consultation, note down any query or concern you might have, such as the treatment procedure, treatment duration, medications or if surgery will be required. It would also be helpful to note any behavioral changes made before the appearance of the patches, either related to your food or oral routine. If the changes are responsible for the condition, changing those habits may help relieve the symptoms, although it may not be entirely effective. 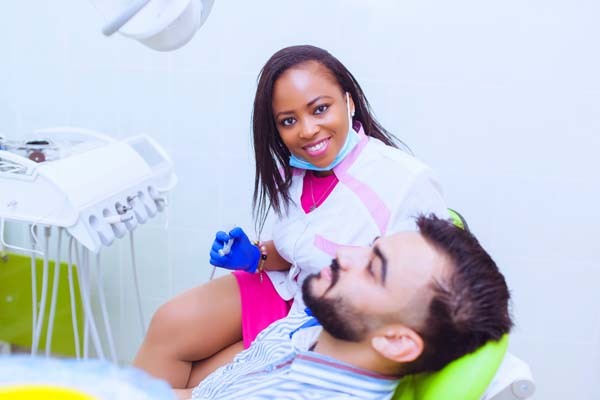 The dentist will ask a series of questions to determine any behavior or changes that may be responsible for your condition. Be sure to provide accurate answers so that you can get effective treatment. Take a tissue sample for biopsy: A small part of the tissue removed from one of the lesions will be forwarded to the lab for analysis. Lab analysis of the tissue: A pathologist in the testing lab will scrutinize and examine the tissue for abnormal cells (carcinoma). Excisional biopsy: This will occur if the first tests conducted come back positive. If this happens, the dentist will extract a full lesion patch and forward it to the oral surgeon for more expert analysis. Dentists recommend two forms of treatments for leukoplakia: Systemic and topical. For systemic medication, the dentist will prescribe an antiviral drug such as Valtrex or Famvir. Although the virus responsible for leukoplakia cannot be eradicated from the body, its spread and development can be stopped. Regular treatment will remove leukoplakia, but they may return without consistent treatment. For topical medication, you will be given a podophyllum resin solution or retinoic acid. They are both applied topically on the patches, but as with systemic treatment, they must be used regularly to prevent the patches from forming. You can prevent leukoplakia and your risk of oral cancer by avoiding tobacco use, excessive alcohol and improving your nutrition. If you discover signs of leukoplakia in your mouth, contact your dentist immediately. Request an appointment here: https://vsndental.com or call VSN Dental PC at (732) 898-6835 for an appointment in our Manalapan office. Check out what others are saying about our dental services on Yelp: Oral Cancer Screening.